It may be surprising that I love to garden since I have been a city-dweller since birth. Somehow I cultivated this passion on a Canadian farm in Quebec during my teenage years and later as various friends or family members had gardens, I’d throw my heart into the work and get my fingernails caked with dirt. So it shouldn’t be shocking that when we finally found our home in San Francisco, I couldn’t wait to break open the concrete laminating the outdoor space surrounding our house and plant some seeds. From the start, hours of autumn harvesting the hardy blackberries growing from the cracks in the concrete gave me great pleasure. As blackberries are indigenous to our hillside, they seemed to multiple with every trimming, and we were feeding the neighborhood blackberry cobblers, muffins or baskets of ripe, sweet berries. I soon wanted more vegetation that I could take ownership of and have pride in. That’s when I learned the limitations of my new micro-climate. 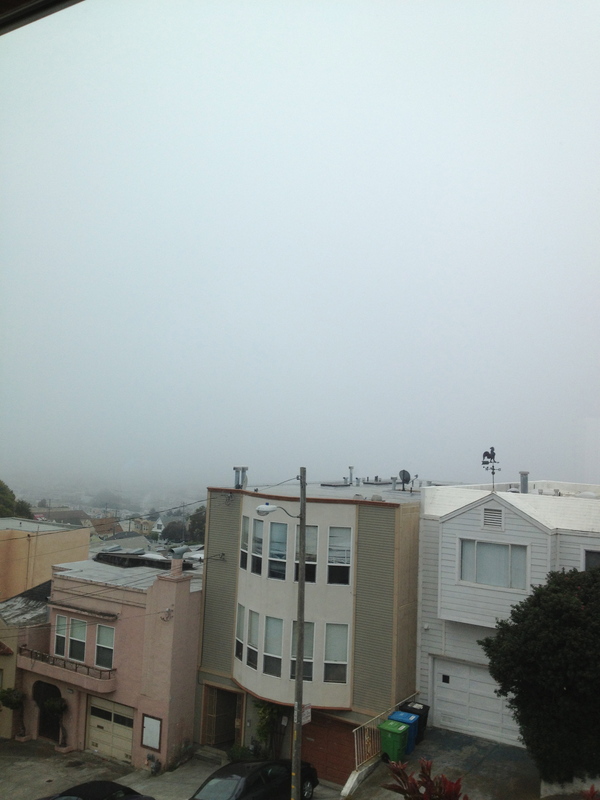 It’s important to mention I live in the fog belt of San Francisco. During the summer months we go weeks without sunshine. In fact, we routinely don’t see the sun between June and September. It tends to be balmy, windy and chilly in the Oceanview. On occasion, the early-morning fog is so thick that we can’t see the houses across the street. It’s no wonder then, that last year my sweet peas didn’t flower, my lavender didn’t root and that my basil rotted on the stem, not to mention my withered broccoli or my stunted peppermint. All of this not withstanding, I remain as of yet, undeterred, especially as I have a new tool in my tote. Tending to my garden feeds and nurtures my soul. As early spring found me ill and unable to socialize and the long winter began to recede, I was totally ready to get back to my little potted garden. Pulling weeds, planting, beautifying, trimming and cleaning are invigorating. I observed as I repotted that several plants from last year never matured. I spruced, swept and watered. Then, I sat down to give each plant a Reiki treatment. The results have been extraordinary. After my impromptu experiment, I read that one should always give Reiki energy to the roots of the plant first and foremost. My approach lacked balance. Apparently, it is possible to overdo it. I found that the plant that was flowering really couldn’t tolerate that much fruit. It might hurt the tree in the long run. 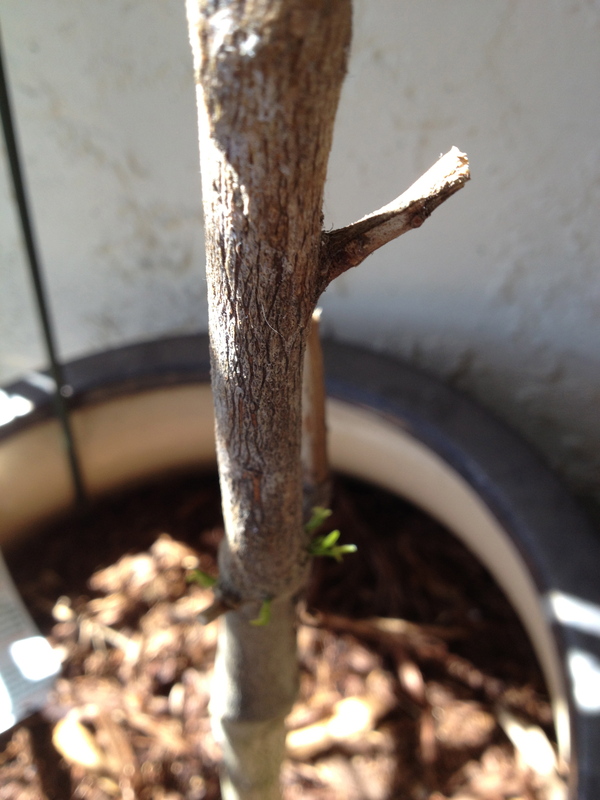 On the other hand, the tree that was almost dead was able to communicate with me about its needs. I understood that it needed a bigger pot and better soil drainage. The plants are teaching me to be a better gardener. As in all things, we have to let ourselves make mistakes. 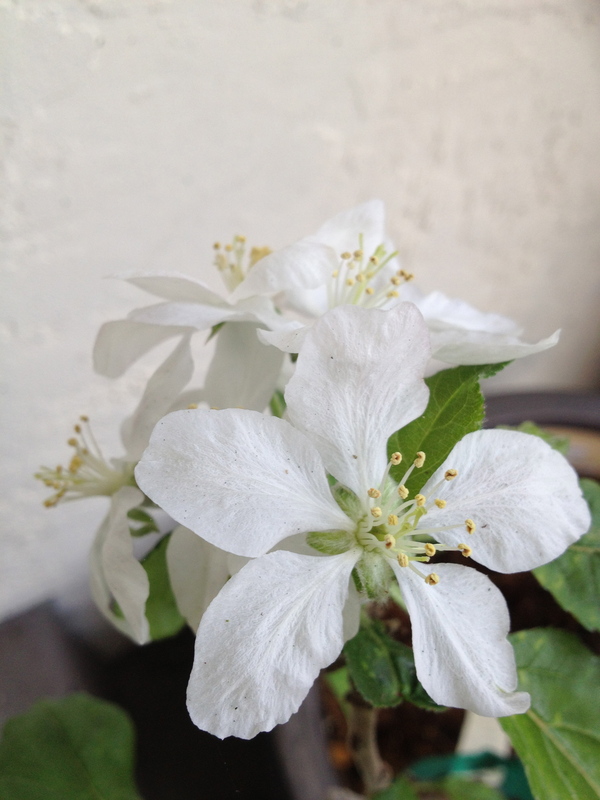 Even though I felt I had hurt the apple tree with the flood of energy, I could see that with my careful attention and focus on the plant, I could help strengthen the roots and meet her needs by listening carefully. I also sang to the tree, giving her permission to slow down the growth. The leaves have since filled out nicely, growing darker and broader. The beets that I planted last year are an entirely different challenge. I may need to start over. Amazing Edissa! Until this sage post, I never considered gardening ‘divine play.’ Afterall, like you suggested, a garden begins in the intimacy of touching earth up to, in Stanely Kunitz’s words, ‘an exchange between earth and atmosphere.’ Also, I love your observations on where Reiki and gardening interface: a garden is truly a sacred space, which, like prayer, requires the full participation of body, mind, and spirit.